Like with any production, Star Trek Phase II begins preproduction on various projects that, for one reason or another, end up not coming to fruition. Most of these “brainstorms” get short circuited fairly early in the production process. But a few times, planned episodes get as far as our “preproduction artwork” step before being axed. The reasons for these cancellations are varied–and it’s not the intent of this post to delineate all those different reasons. 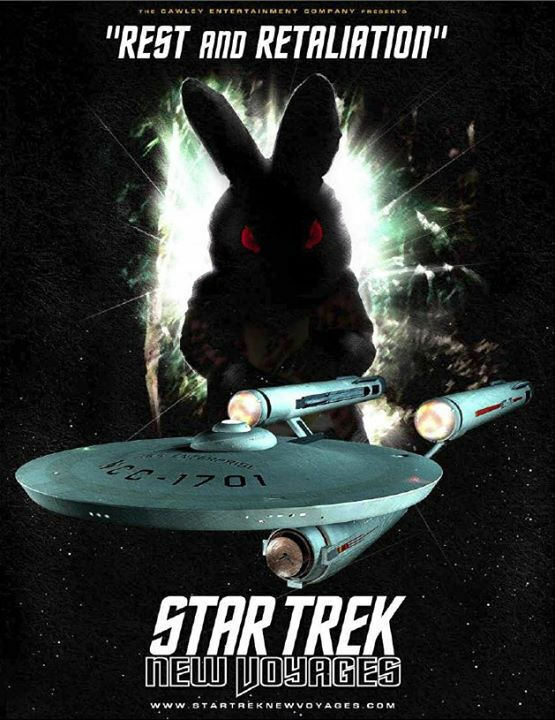 But for those who don’t know the ten-year history of our production, these “teaser posters” offer a glimpse at projects that Star Trek Phase II had considered but had to abandon. For a while, we had contemplated filming an episode to revisit the Kzinti as seen in the animated episode “The Slaver Weapon.” Interestingly, the story nearly had life in the projected fifth season of Star Trek: Enterprise. But it didn’t come to pass for them–and, ultimately, it didn’t come to pass for Phase II, either. 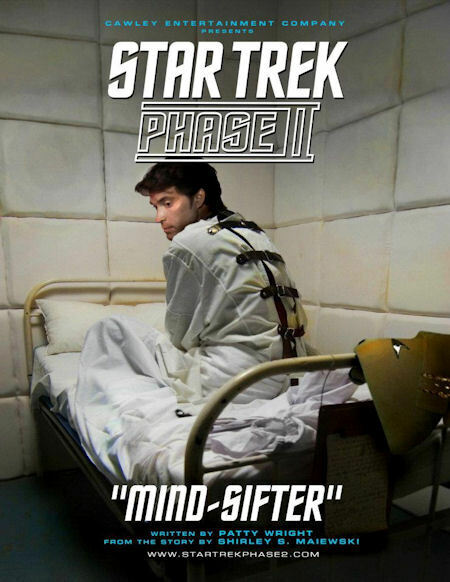 Lastly, we got much of “Mind-Sifter” filmed in 2011. But we ultimately re-wrote the script, and re-shot the entire episode. 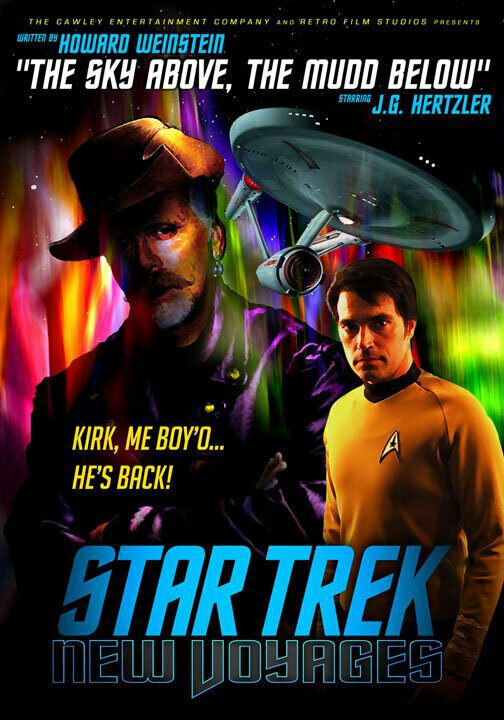 This poster is from before we decided to recast our James T. Kirk series role with Mr. Brian Gross; it still shows Mr. James Cawley as the planned Captain Kirk. Don’t be looking for these episodes any time soon. We’ve moved on to bigger and better projects. 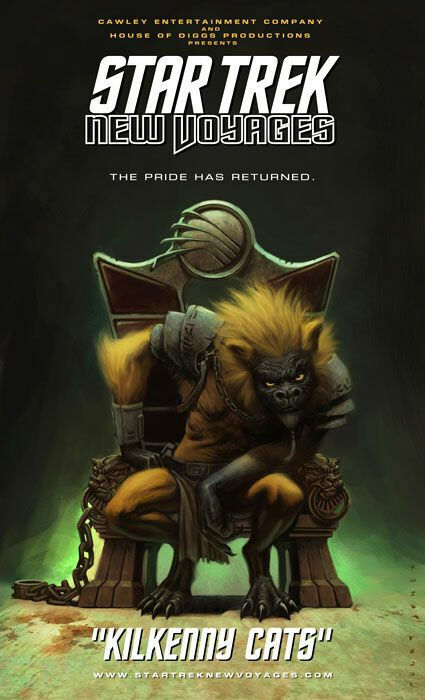 Are you wondering where the teaser posters are for our “Bread and Savagery,” “The Holiest Thing,” and our revised “Mind-Sifter episodes?” They’re available, but those three episodes aren’t dead or back-burnered–they are on their way soon. Once again, questions, comments, feedback, and, of course, “Shares,” “Likes,” or “+1s” are greatly appreciated. 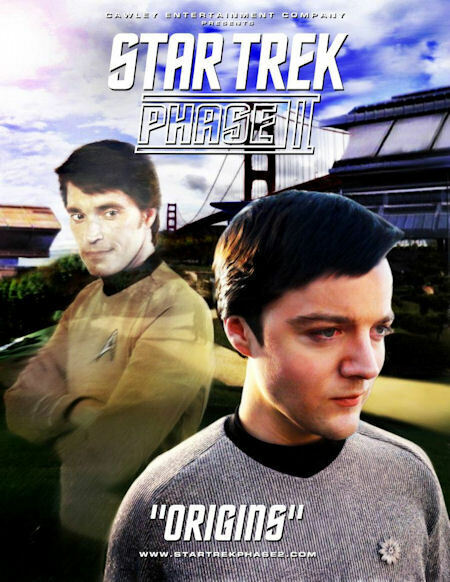 Gregory L. Schnitzer is Co-Executive Producer on the fan-based Internet series Star Trek Phase II (formerly known as Star Trek New Voyages). Greg is a Registered Nurse and is generally in charge of Emergency Medical Services at the Star Trek Phase II shoots. He also generally serves as the production's Property Master and on-again, off-again Set Decorator. Born and raised in the beautiful but smoggy San Fernando Valley (which he still calls "home"), in real life, Greg is a Registered Nurse and Certified Six Sigma Black Belt, and currently works in the field of Health Information Management at various facilities and in various capacities in the Washington, D.C., greater metropolitan region.